The processes in food industry are becoming faster than ever before. The need for rapid and reliable results is increasing. Microbiological testing of goods, before they leave the production site, has become common. With rapid and accurate methods of the Q-Bioanalytic you can now have your Salmonella results after only 24 hours. This is possible with our state of the art technology. Q-Bioanalytic runs an ISO 17025 accredited service lab for food and water analytics with main focus on the Real-Time PCR-analysis for Microbiology, species identification, GMO and allergen analysis..
Our accredited parameters can be seen on our documents page. Due to our advanced IT technology and our online customer portal, analysis reports are at your disposal as quick as possible. You want to investigate products that are not listed here? Please contact us. We will advise you and will develop a strategy for your unique needs. 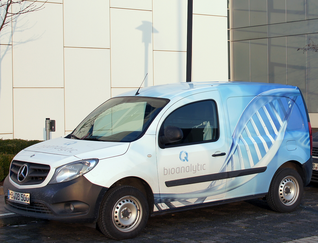 Q-Bioanalytic GmbH is an ISO 17025 accredited service lab. It is officially appointed according to §19 to test drinking water in the laboratory, so that your results are also recognized by the authorities. Our employees have been trained to take drinking water samples according to actual German laws. We also provide the opportunity, to train your own staff to take samples properly. To see a full list of our accreditations and certifications including downloads see our accreditation and certification page. Q-Bioanalytic GmbH uses all kinds of classical microbiological methods. 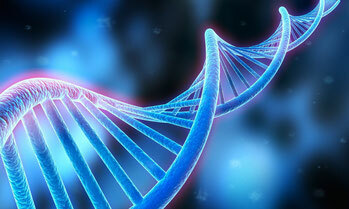 We are specialized in the molecular methods of PCR and Real-Time PCR, which provide a very fast and accurate result. Besides the microorganisms, you can test your products for allergens or GMOs with our service. We also carry fish species identification through DNA sequencing. In the Bremerhaven fishing port we provide a free pick-up service for samples. Just give us a call and in less then one hour we can pick-up your samples. To have fast results make sure to call us before 14:00 (this has to do with the required incubation time for certain parameters). You have special requirements with regard to the time of the analysis? You may need to have results early, during holidays or in the weekend? Q-Bioanalytic would like to help you in such situations, just give us a call or send an e-mail.